The spirit of musical adventure has always bobbled about in the choppy waters of pop music, but, as good as Radiohead are, their fiddling about with electronic music can’t even hope to hold a candle to Talk Talk’s 1988 masterpiece, Spirit Of Eden. Here’s a record that created a whole new world for pop music to inhabit. If anybody can direct me to a subsequent universally disseminated pop record on a major label that embodied anything like the revolution of Spirit Of Eden, I’d really like to know about it. And it was all so unlikely. Talk Talk, after all, started out as a New Romantic group in the early ‘80s, and they were just another bunch of silly hair do’s and toxic makeup with a sound that wasn’t that far removed from Duran Duran or Ultravox (take your pick). 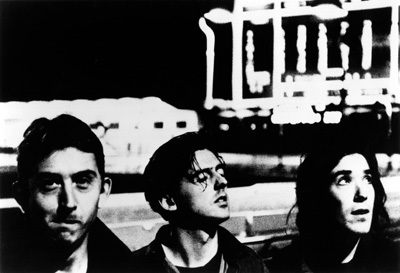 To be fair, there was always something special about them, and especially, their singer Mark Hollis, but by the time of their third album, The Colour Of Spring, in 1986, they were making profoundly original music with a deeply inward-looking, melancholy and proudly British sound that couldn’t be categorised. But Spirit Of Eden, two years’ later, totally eclipsed that previous album, as brilliant as it was. Spirit Of Eden was much harder to get into, as it relied far less on conventional melodies and rhythms and rock instrumentation. In fact, that’s understating it. Spirit Of Eden more or less rewrites the book – so much so, that it takes the breath away. Although Talk Talk imploded after just one further album (Hollis has managed one subsequent solo album, and for a time, the other band members regrouped as the fabulous Orang) the influence of Spirit Of Eden has been immense, but none of the bands it inspired have produced anything quite so amazing and otherworldly and beyond convention. Unfortunately, Mark Hollis was for years in legal dispute with EMI, so nothing good happened to the Talk Talk catalogue for far too long. 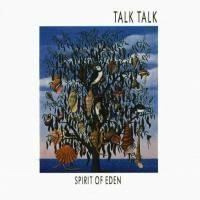 But apparently old wounds have recently healed, and with his co-operation, EMI are finally venturing forth to reissue some of the Talk Talk discs on vinyl, starting, of course, with the best. Ironically, back in ’88, I remember Spirit Of Eden being one of those albums I sought on CD. While a Queen St record shop was selling out their new vinyl for insane prices, CDs were still $30-plus, but it seemed worth buying in this format. Why? Well, because it’s an album with long quiet sections with no percussion, and it benefits from not having the noise that often comes with vinyl. But one fact worth revisiting was that the quality of vinyl in the ‘80s was mostly abysmal, and the thought of obtaining a CD where one wouldn’t be subjected to various clicks, pops and other extraneous noise (not to mention centre holes that weren’t perfectly punched) was joyful. Of course, what we hadn’t realised back then was that the de facto sampling rate of CDs effectively made them a lower-res format. The new vinyl pressing of Spirit Of Eden comes in resplendent 180g virgin vinyl, and it’s wonderfully quiet. Yes, I did notice a couple of clicks right towards the end, but nothing that punctured my enjoyment of the music. What I do find disappointing (and this is true of most vinyl reissues) is the lack of information about source tapes. I suspect that this remaster is simply the 1997 one, which was taken from the original ½-inch analogue masters. No problem there, but could they have tweaked it for the 2012 release? Maybe not. In any case, as a consumer, I would like to know the details. 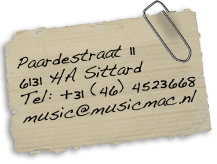 Why not some sleeve-notes? As a package, on vinyl, it’s not particularly spectacular: just the original cover with its fetching tree/animal/crustacean artwork, and an inner sleeve with Hollis’s almost illegibly-scrawled lyrics. The bonus here is the inclusion of a DVD containing an audio version of the album. The note on the back informs us that the audio has been transferred from the original analogue stereo masters at 96 KHZ/24 bit, and that “the audio used to create the final mixes was bounced down from analogue 2-inch 24-track to a Mitsubishi Pro Digi 32 track digital recorder which only recorded at a sampling rate of either 44.1kHz or 48 kHz. “Where high resolution audio would normally have content up to 40kHz plus, the use of the Mitsubishi, with a sampling rate of 44.1kHz, means there is no content above 22kHz on the original digital recordings, and therefore all mixes/copies that followed would also be lacking content above 22kHz.” Which means, if I’m not wrong, that the audio quality on the DVD is around that of a CD. Which makes it all rather questionable. The DVD does include one track of a 1988 EP/CD-EP, but ignores other b-sides that could have been included. Another thing to consider with audio-only DVDs is whether your DVD player is capable of, or is set up to, produce hi-res audio. It seems that my elderly Blu-ray player is not, so played through my hi-fi system, the DVD sounds less pristine than the 1997 remastered CD on my CD player. But what of the vinyl? Well, it sounds awesome. I must point out at this time that the 1997 CD remaster sounds sublime on my system, thanks to my lovely Yamaha CD-S2000, and that it’s probably unfair to do a direct a/b comparison between the CD and vinyl using this system, as my Pro-Ject Xpression III turntable is very nice, but hardly high-end. But even using the Pro-ject, connected via a Pro-Ject Phono Box II (not the phono input of my Rotel preamp), the extra vibrancy of the sound on vinyl was apparent. Let’s talk about the music for a moment. Spirit Of Eden is made up of six songs (three per side) of what, effectively, is a seasonal spring cycle. The minute you slap this less than happy platter on your gramophone, you’ll notice just how unique it is. It starts with one endless note held by strings (Nigel Kennedy on violins!) which is soon ruptured by an incredible noise, which I believe to be massively electrified harmonica (but could stand corrected) – it’s like some mutant medieval clarion call with the ages of rust and sadness in it. And then the music fades away, almost to nothing, to field music, before the song actually appears, and Mark Hollis utters his first words: “Oh yeah, world’s turned upside-down.” The first part of the song builds up such a sense of expectation, and for once, that expectation is met. From the outset, Spirit Of Eden broadcasts its intentions. This will be an almost religious experience, as Hollis gets deep inside his own head with his ruminations on belief and the sorrows and contradictions of life; and the music itself shows that it’s willing to fade to black, which gives its loud bits genuine dynamics, and each sound emotional resonance and power. Hollis’ distinctive vocal melodies, remarkably, mean that despite music that is structurally and texturally radical, it’s still pop music. Weird pop music, but pop music nevertheless. And I love the fact that I seldom hear what he’s singing about, because it’s the sound and the conviction with which he sings that I love, so his bizarre enunciation doesn’t annoy me in the way that, say, John Martyn’s does. ‘The Rainbow’ segues into ‘Eden’, a powerful pop song (as opposed to a power pop song) with churchy organ. ‘Desire’ is the track for those who like a racket. Like the others, this track subsides into moments of quietly rolling piano and double bass (courtesy of Danny Thompson), but also features incredibly scorching squalls of noisy trumpet, guitar noise and even a bit of a drum “solo”. The rhythm section in Talk Talk are just so good (stand up, Lee Harris and Paul Webb). The second side starts with ‘Inheritence’, which for quite some time almost sounds like mutant jazz – a distant cousin to that other great band, The Necks. Again, it ends up being a weird kind of pop song, but with strings, and dissonant shrieks from bassoons and oboes that give it an almost modern classical austerity. ‘I Believe In You’ is a bit of a relief, and melodically, a step back to the previous album. Not conventional, by any means, but it has a pictorial orchestral pop feel that makes for slightly easier listening, together with a keyboard crescendo that reminds me of Joy Division’s wondrous ‘Atmosphere’, without ripping it off. And then ‘Wealth’, a low-key, quiet ending that reinforces the devotional quality of the whole project, as riven with doubt as it is. While the CD – at least on my system – reinforces the beauty and smoothness and liquidity of some passages of Spirit Of Eden, the vinyl exposes the music’s raw nerve. There’s always a slight ‘sheet of sound’ effect when listening to CDs, where voices get pinched and some instruments get shrill. On vinyl, Hollis’s vocals are wonderfully expressive and pack a real emotional wallop, while those outbursts of harmonica and guitar are so in-your-face and raw that they perfectly counterpoint the more discreet, sophisticated elements of the album and its lavish recording. An amazing, amazing album then, and one worth having on both CD and vinyl, although it’s also kind of sad that such an incredible recording seems destined never to be up-converted to genuine hi-res.